LOCO SHED is the maintenance headquarters for the Turrella Tramway. 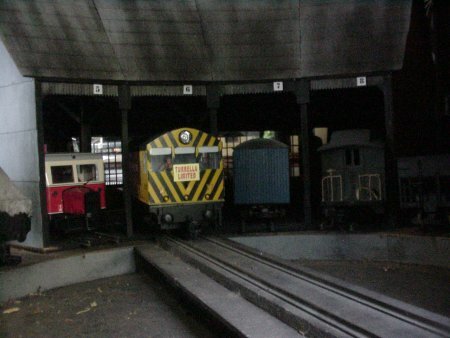 Major overhauls on company rolling stock take place in the large roundhouse and adjoining buildings (inside the back of the Garage). 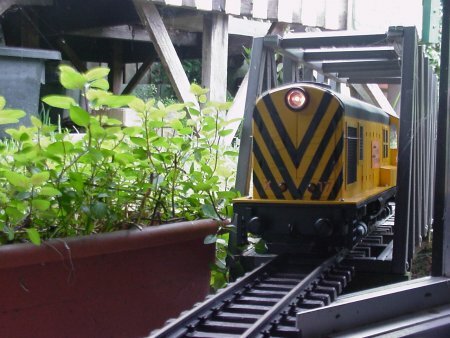 To gain access to the ‘Shed’ trains turn on to the siding just south of Bigglestown and follow a short branch line over Myrtleton Gully Bridge. Upon entering the yard locomotives are marshalled onto a turntable in front of the Roundhouse for overnight stabling and refuelling.